This is a Day Tour to perhaps the most visited Castle in Ireland, Bunratty Castle and Folk Park. It is the most complete and authentic Castle in Ireland and a must-see for everyone who has not visited this wonderful showpiece. The Castle was built in 1425 and was restored to its former medieval splendour in 1954. This is a great opportunity to browse the Castle, Folk Park and Gardens where you will get a glimpse of how our forefathers lived hundreds of years ago. Enjoy the sights, sounds, tastes and scents of one of the most enchanting places in Ireland. 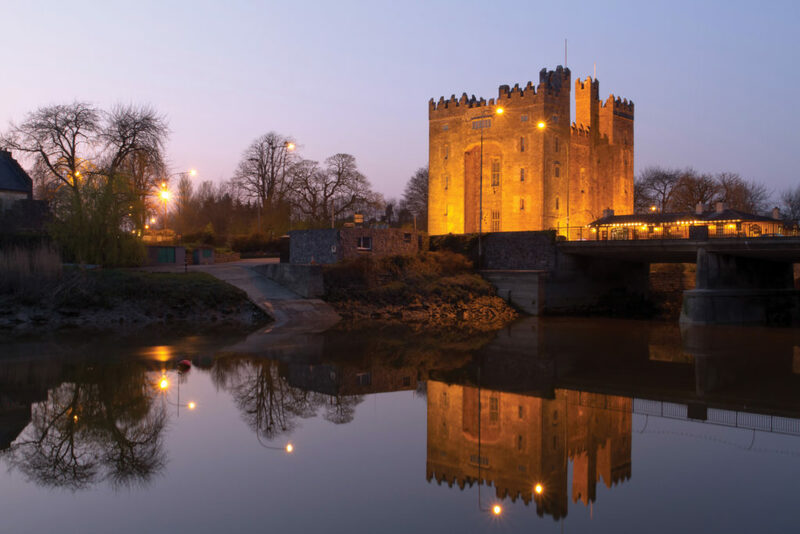 Many people return again and again as there is always so much to see and do in lovely Bunratty. On our way home we will have dinner in the lovely Abbey Court Hotel in Nenagh. Prevent disappointment, and book your tour now to ensure that your place is reserved here! Visit some of the hotels Candy Tours avail of during our great stay overs here! Picturesque scenes not to be missed, we have a little preview for you right here!